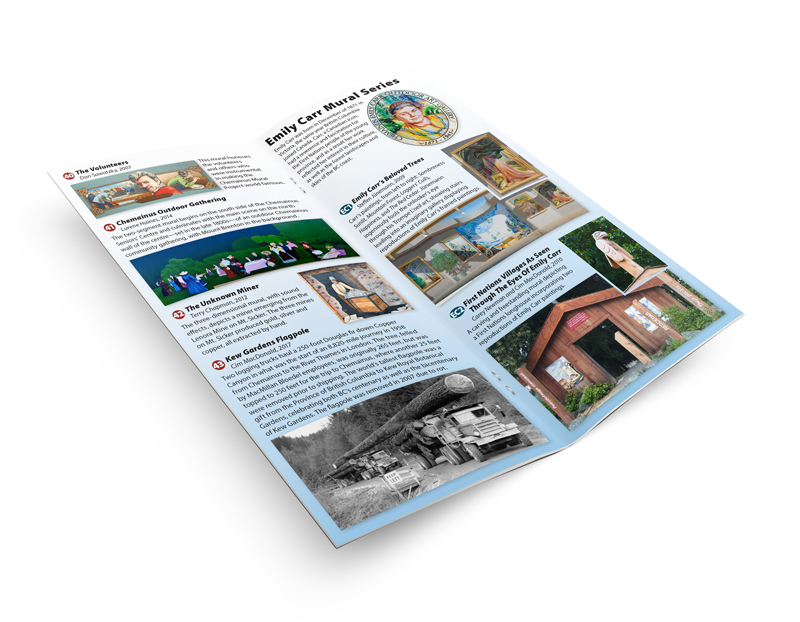 A new edition fresh off the press in August, 2017 has been updated in a user-friendly booklet style with a full colour fold-out map showing the location of all murals and sculptures in Chemainus along with a description of each mural. Includes the new Community Mural Series. 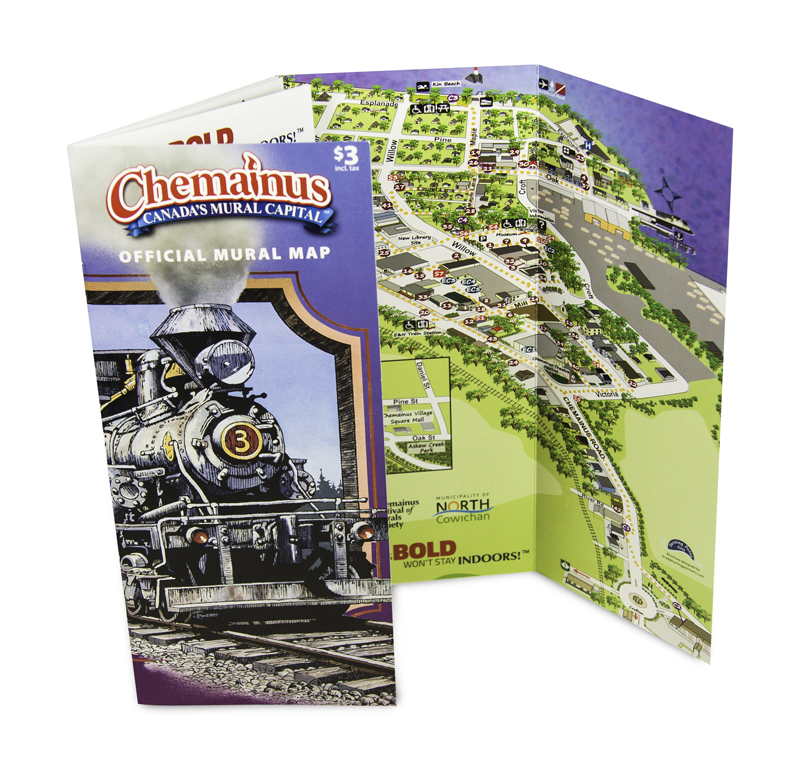 Available in two different cover styles, this is the only official mural map authorized and produced by the Chemainus Festival of Murals Society. Includes a brief history of the Mural Project and a Welcome to our town. 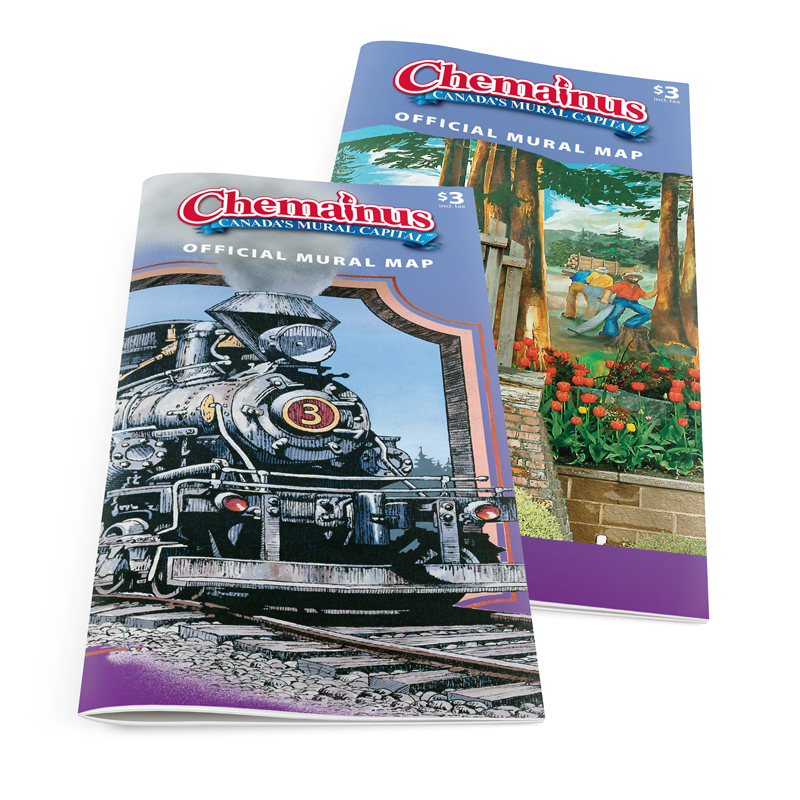 Find out how Chemainus got its name!